Tyler Sorensen is Certified Strength and Conditioning Specialist through the NSCA with a degree in Nutrition, Exercise and Health Sciences. Today, Tyler works as a coach at Kratos Performance and Fitness in Lincoln, NE. He’s a husband, father of 2, and dog lover. After spending 10 years in the military and with 2 deployments, he has built a passion for helping people understand movement and performance after seeing fellow military members physically breakdown under the demands of job. Now he works with a mix of business owners, youth athletes, and general population to empower them with the tools to live healthy and active lifestyles. 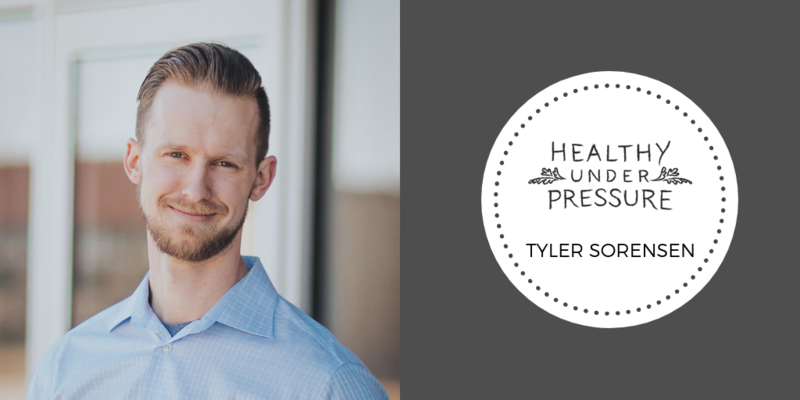 During this episode, Tyler and I spoke about how his military background inspired his future career path and how he stays healthy under pressure as a husband, father and busy health professional. You can connect with Tyler on Instagram either at @tSorensen246 or @FitDadGoodDad. Special Thanks to Micah Yost and MethodMark for sponsoring this episode. Be sure to follow Micah and Amber on Twitter.